How is everyone doing? Happy to be menu planning I hope! Here we are for Menu Plan Monday Family Favorites Edition!! You are invited to post at least one recipe or recipe link of one of your family’s favorite meals. That way we know that every link we click on this week will have a tried and true recipe for us to check out. I absolutely love finding new recipes to try and I enjoy it even more when someone else gives it the thumbs up first. As a reminder you can find all my family’s favorite recipes here. Well let’s see, my recipe highlight this week isn’t off my menu plan but something I decided to do at the last minute. I had some friends come over for lunch and decided to make up some Brownie Cups for dessert. I was craving some chocolate what can I say 🙂 They were really delicious, especially hot from the oven. Yummmmmmm! My recommended menu planning resource today is another free option that might help make the menu planning process a little easier for some. It’s called Simplify Supper and although I can’t remember who first told me about it (sorry!) I’m glad they did. It appears to be very easy to use. You simply choose the recipes from the ones they provide and add them to your calendar and it then prints up a corresponding shopping list for you. The only downfall I can see is that you can’t import other recipes but maybe that’s something they’ll add in future. I totally cannot believe I’m first to post this I am always in the 200s. Goodness gracious! Wow! I’m the first one. I had already planned my menu when I read the family favorite part. But, I have done the Chicken Cordon Blue Panini and they were great! My kids loved them and so did the adults. Can’t wait to check out everyones family favorites! I’m really looking forward to having all our favourite foods this week! Thanks so much for hosting this, what a great idea! I love the Brownie Cups idea! I just made some tonight (Comfort Foods at http://www.5dollardinners.com) and never thought to do them in cupcake cups! Do you have to bake them for shorter? Longer? What do you recommend??? Love your menu, that mexican lasagna is really good. You can find the recipe for the Brownie Cups recipe if you click on the name of the recipe above. They take about 35 minutes to cook up. Brownies hot out of the oven are my very favorite! I will be making these! I only posted my family favorite on my link. Hope you like it. The creamy pepperoni ziti looks really good. Thanks for hosting MPM! Great menu and theme!! 😀 I can’t wait to drool over, oops, I mean – read all the menus!! Have a great time on your Mommy-Daughter weekend. That is going to be so much fun! Where are you headed? PS- thanks for posting early again this week. You have been so awesome about my suggestion and I really appreciate it! My first time posting and linking; though I’ve been reading for a while!! My family favorite is my apple pie!! We’re going apple picking Wednesday, so I can’t wait to use the apples!! Thank you for the great website and encouraging posts! Those brownies look soooo good! I left a link for one of our family’s favorites. Beef Stroganoff! I actually made it with deer in the link I posted–it was actually a post I did in May, with pictures and all! Check it out! This is a great idea. 🙂 Looking forward to getting some new dinner ideas. Ooh, can’t wait to see the new Fall banner! Hooray family faves! Of course, this means I need more printer ink and another binder…. You’ve saved my life (and sanity)! Menu planning is such a great time saving idea, can’t believe it took me this long to find it! It’s my 1st week doing MPM but I’ve been following your site for a while- great job!! I can’t wait to try your Bruschetta Chicken! Ok, got mine up! Can’t wait to check out some of the others! Man, the brownie cups look fantastic. I have to try that recipe! This is great fun and so helpful to see everyone’s ideas for menus!. Family favorites is a great idea too! Yes those cupcake/muffins were awesome…woohoo road trip in 5 days!!! That creamy pepperoni ziti sounds really great. Have a great week!! I just love this MPM special edition, Laura. What a cool idea! I think I’m going to try your slow cooker beef stew. I think my husband will love it. Have a great week end with your daughter. That sounds like a wonderful idea. I’m SO going to try these Brownie Cups. Yum!! Thanks for hosting family favorites this week. It’s giving me a chance to finally get moving in the right direction with making menu planning a priority. Neato menu planning site – I’ll check it out! 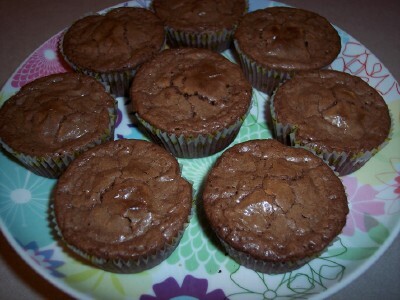 And those brownie cups look TOO, TOO yummy! Those brownie cups look fantastic! I can’t wait to check out everyone’s tried and true recipes, what a great idea! Thanks for posting this! I can’t wait to see what other people wrote! Our family favourite is going to sound strange. It’s leftovers. I pride myself in being able to do amazing things with leftovers, so if you want some tips, come on by! Funny that I was sooo excited that you were posting MPM earlier for us east-coasters … and then I’m this late to get mine up here! Hi, I am a first time participant joining in on the fun! I hope I did everything right this first time. Enjoying seeing everyone’s menus! No family favorite recipe this week but our basic menu plan is up. Have a great week! I am starting to get the hang of the whole menu planning thing thanks to all of you! My husband just thinks it is so cool that he can look on the fridge and know what we are going to eat! Thanks for that site! I love visiting Menu Plan Monday each week!! The brownie cups and bruschetta chicken sound great! Thanks so much for sharing! Can’t wait to see all the favorites!! Thanks for hosting this! I am so excited to be participating! First time poster but long time lurker. Love menu planning! Well, I have my Denim & Grace girls coming over Sat, and i was wondering what to serve for dessert… I may give these a try!!! YUM! Wow – lots of yummy recipes out there for me to try! Honestly? I don’t have a menu planned this week. I’d better get my act together! ha ha. Happy Monday Laura! BTW, I was planning to do mini cupcakes for BG, but w/brownie mix! YUM! Those brownie cups look yummy! Enjoy your mother-daughter weekend! I posted 3 of our family favs this week. Those brownie cups look yummy! Thanks again for hosting MPM. I love it!!! Our family favorite that we posted this week is our home addition of Mexican Mesagna!! Check it out. We love the Bruschetta chicken as well!! Someday I might get my post into the 100’s instead of 305! It’s great there are so many people joining in! I just wish I had time to read them all. Thanks Laura for hosting this. I have gotten so many great ideas, both by reading other menus and by forcing myself to plan! Great Idea! I think I will be checking out this week over the coming up months as we are trying to find more recipes we like and want to try. 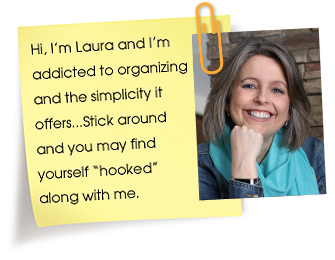 thanks Laura – I’m whipping up Susanne’s mexican lasagna for this weekend – anyone else giving me menu ideas is always a big help. I am new to MPM, but I am so excited to see everyone else’s ideas! OOPS! forgot to link to my blog! Laura, I made your family favorite Bruschetta Chicken for dinner this evening…it was wonderful (and so easy). I’ll definitely be adding this to my menu planning arsenal. Thanks.